Music Artist : Quincy Bullen Quincy Bullen is an accomplished pianist, composer, producer, multi-instrumentalist (drums, bass, guitar, Piano) and singer. Extraordinarily talented, with a great sense of timing, Quincy ‘wows’ audiences across Canada, the USA and the Caribbean. His style is jazz with a funky vibe. 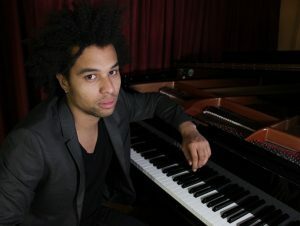 His repertoire includes his own version of popular standards from jazz, R&B, Pop and soul as well as his original compositions. He has been a featured performer at many large music festivals and venues in Canada and the Caribbean. Quincy has been splitting his time between Toronto and Los Angeles. He also works as a producer and DJ. Quincy is a founding member of the Quintessential Boys (a successful teen-jazz band). Quincy’s band now includes a mixture of up and coming musicians and seasoned jazz professionals. Working with his father, Juno award winning Eddie Bullen, Quincy has released three solo albums, On Q, Quantumplations and Poise Debris. “On Q” is mostly original material featuring: Larnell Lewis on drums, Alex Toth on bass and Rob Christian on sax. The CD demonstrates Quincy’s funky jazz vibe and his sensitivity as a composer. “Quantumplations” A solo experimental album shedding light on Quincy’s producing and composing abilities. Many influences include jazz coupled with modern Electronic Dance Music and RnB. –“Poise Debris” is the title of Quincy Bullen’s third solo compilation. Completely original, balanced, intermingling Blues, Funk, soul, rock and a touch of jazz, as he gathers up the broken fragments of life scattered bits and pieces. Quincy is also in the process of developing a new album with his Father. This CD will merge the generations and highlight Quincy’s love of jazz, electronic and Pop music with his father’s the Caribbean and contemporary jazz sensibilities. Quincy and his Dad are also continually refining their two-man show, 'Dueling Pianos – Father and Son' for the stage. With the addition of Q’s guitar playing and brother Tre Michael Bullen on drums, the Bullen family leave audiences in excitement. He is also touring and doing gigs developing a unique sound with various musicians, coupled with all of his inspirations defining Quincy Bullen as a True Artist. http://quincybullen.com/ Spoken Word Artist : Amoya Reé We welcome back to the TBFF Live Performance Series, Amoya Reé! Amoya Reé (pronounced Ray) is a Jamaican-Canadian spoken word poet and 2018 National Champion. Her writing is deeply rooted in her lived experiences as immigrant, survivor & young mother. 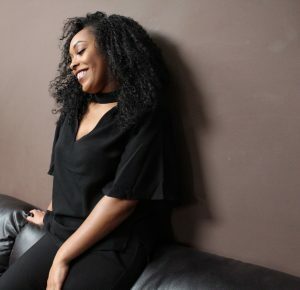 Her background in theatre first brought her to performance poetry in 2008 & since then she has shared her stories in classrooms & boardrooms across Ontario. Most recently she sat as captain of the Toronto Poetry Slam team where they won the national championship in Guelph, Ontario. Connect with her on Instagram @amoyaree.